Bring life to your Service Cloud data with Wave App for Service. Now service managers can see all KPIs against benchmarks in one place and from any device with native Service Cloud integration. 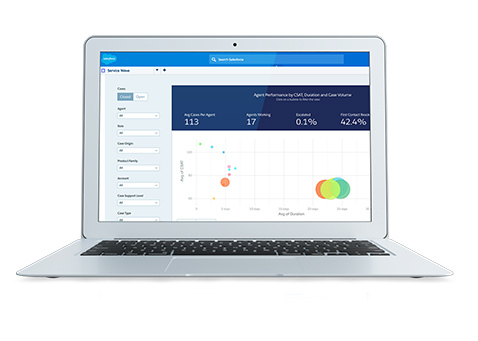 Wave also makes it easy for service agents to get an instant 360° view of customers while simultaneously having visibility into historical cases, benchmarks, and CSAT scores.